Comodo (now Sectigo) is a global provider of online security solutions and the largest Certificate Authority in the world. Comodo/Sectigo serves more than 3 million customers worldwide and comfortably tops the SSL market share charts. The company has built its success on two key elements: a flexible range of SSL products, and affordable prices. A real trailblazer in the SSL industry, Comodo/Sectigo was the first SSL provider to release Comodo EV SSL, the game-changing Extended Validation (EV) certificate. Comodo/Sectigo employs high-end SSL technologies to ensure bulletproof data encryption. Besides issuing SSL Certificates, Comodo/Sectigo provides security enhancement for small, medium and enterprise businesses, as well as individual websites and PCs. To emphasize its expansion beyond SSL products, Comodo/Sectigo has recently rebranded into Sectigo. The new name limits market confusion and marks the company’s transition to an innovative, all-around provider of web security solutions. Whether you need an SSL certificate for a blog or a multi-million dollar company, Comodo/Sectigo has got you covered. There isn’t a website or a platform Comodo cannot secure. Comodo/Sectigo is by far the most budget-friendly Certificate Authority on the market. It is the only SSL provider to create specific product lines such as PositiveSSL, InstantSSL, and Essential SSL to cater to various budget needs. The cheapest Comodo SSL certificate per year costs less than a premium coffee drink, while the premium products are way more affordable than other brands. As the founding member of the CA/Browser forum, Comodo/Sectigo has always been on the front line of innovation. All Comodo certificates follow the latest encryption levels and web security standards such as 2048-bit key encryption, up to 256-bit certificate encryption, and SHA-2 secure hash algorithm. The majority of web browsers trust Comodo/Sectigo. Whether it’s Chrome, Safari, or the less popular Konqueror, sensitive data exchange between visitors’ browsers and websites’ servers is always secure. On top of that, Comodo SSL certificates integrate perfectly with numerous server platforms and email clients. All Comodo certificates include a warranty in the unlikely event of a data breach. Comodo/Sectigo warranties range between $10,000 to $1,000,000 depending on the SSL certificate. Although cracking the SSL encryption is beyond human capabilities, the SSL warranty offers an extra assurance from a possible erroneous issuance of a certificate to a fake entity. Since Chrome started flagging the HTTP sites as not secure, SSL Certificates have become a must-have security element of any serious website. The rules of the game are simple: switch to HTTPS or lose everything. In Comodo/Sectigo, you have a reliable web security partner by your side. Your visitors and customers can browse and share personal information with the peace of mind. Comodo EV SSL Certificates activate the famous green bar which further enhances your online visibility and reputation. Comodo Positive SSL is a one-of-a-kind line of SSL products designed for individuals and companies with a tight budget. Positive SSL is easily the most affordable SSL solution of them all. It includes Comodo DV SSL, Comodo Wildcard SSL, Comodo Multi-Domain SSL, and Comodo Multi-Domain Wildcard SSL, as well as the cheap Comodo EV SSL certificates. Just because Positive SSL is low-priced, doesn’t mean it’s of lesser quality. On the contrary, Comodo Positive SSL products come with unlimited server licensing, industry-standard encryption levels, site seals, and warranties. The Essential SSL line delivers instant SSL security to your website. It features Comodo Essential SSL and Comodo Essential SSL wildcard certificates. Both Domain Validation products, these certs offer rock-solid protection against cyber thieves. You can get them in just five minutes without the hassle of paperwork. Comodo Essential SSL certificates are the best value for money to protect one domain or multiple subdomains. Comodo Instant SSL takes care of your company’s SSL needs. The Instant SSL line provides affordable Business Validation certificates to small, medium, and large enterprises. The validation process takes up to two days – the time required to verify your business information. Once installed, Comodo Instant SSL certificates will display verified, up to date details about your organization inside the green padlock menu. Comodo Multi-Domain Wildcard is one of the most powerful, and economical solutions in the SSL industry. With a single SSL installation, you can secure unlimited subdomains under multiple domains. Comodo Multi-Domain Wildcard saves both your precious time and money by removing the need for multiple installations and renewals. Even better, Comodo Multi-Domain Wildcard is also available in the Positive SSL line. Comodo Multi-Domain PositiveSSL Wildcard will keep your costs at the minimum. Comodo Code Signing certificates protect your software products from malicious attackers. Today, the average amateur hacker can easily alter your code, inject malware and, ultimately, destroy your reputation. Here’s where a Comodo Code Signing Certificate comes to the rescue. It verifies and sings your digital downloadable goods so that your customers can use them with confidence. Any changes to your original code remove the digital signature and warn the client to not trust the software. Comodo Personal Authentication Certificates, or simply CPAC, are your one-stop solution to bulletproof email and documents encryption. 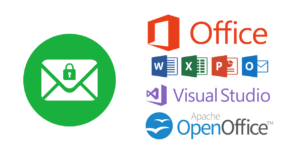 Besides securing email correspondence, CPAC SSL certificates digitally sign Microsoft® Office and OpenOffice company documents. Moreover, they provide two-factor authentication to safeguard your personal or corporate email accounts. The CPAC range includes Comodo CPAC Basic for personal use and small businesses; Comodo CPAC Pro for medium-sized companies, and Comodo CPAC Enterprise for large organizations. Get you your hands on a perfectly functional Comodo free SSL cert! Comodo Trial SSL is a free 90-day trial version of the highly popular Comodo Essential SSL certificate. It offers the same features as the regular certificate. No limitations and restriction at all. The standard issuing time is only 5 minutes. Once the trial expires, you can seamlessly upgrade to Comodo Essential SSL or buy a different Comodo product. Why is Comodo so cheap? So, what’s the catch? How can Comodo/Sectigo sustain such a low pricing structure and provide exquisite SSL services worldwide? It’s all about smart marketing and distribution. Comodo/Sectigo is always one step ahead of the competition when it comes to SSL innovation and diversification. But more importantly, the key to Comodo/Sectigo’s success is the large network of affiliates. A striking example is SSL Dragon. As trusted partners of Comodo/Sectigo CA, we buy their SSL certificates in bulk, and thus are able to provide incredible low prices for our customers. Browse the full range of Comodo/Sectigo certificates and see for yourself the amazing value for money they offer.